Depression isn’t imaginary or “all in your head.” It’s a serious illness that’s more than just feeling a little down from time to time. It can impact your daily life and your relationships with others. Learning how to get over depression and live a healthy life requires action, but taking action when you’re depressed can be hard. However, recovery is possible if you understand the symptoms of depression, how to get professional help and things you can do for yourself that can set you down the path to recovery. The first step toward getting over depression is to recognize you have a problem and take care of yourself. 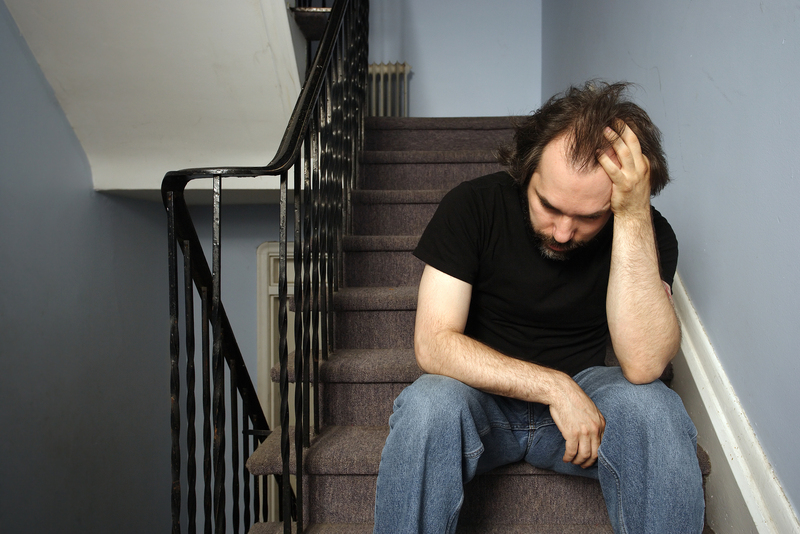 Depression can be caused by a number of factors. While some research shows that depression is caused by changes in brain chemistry, it can also be brought on by genetic predisposition, changes in hormone levels, certain medical illnesses, stress, grief or substance abuse. No matter the cause, it affects your thoughts, emotions, behaviors and overall health. If you’re struggling with depression, you may have noticed that it affects all aspects of your life. You may experience feelings of sadness, hopelessness or moodiness. In addition, you may find it difficult to concentrate, have thoughts of harming yourself, or you may begin to withdraw from people or mask your feelings with substance abuse. It’s also not uncommon for those who struggle with depression to feel tired or lack energy, or experience weight loss or weight gain. Outpatient Care: Individualized therapy with a mental health professional is one way to treat depression. With outpatient care, you may find that individual therapy, group therapy, or any combination of the two, may be helpful. Partial Hospitalization: For those who don’t require round-the-clock care, partial hospitalization can offer day treatment for depression in a comfortable environment, while still allowing you to go home at night. Residential Treatment: This type of treatment provides the maximum amount of support in a structured environment. It can be helpful for those who struggle with depression daily, but do not require hospitalization. In conjunction with seeking professional help, you may find it helpful to do a few things on your own to make daily activities more manageable. While the list below contains small things you can do every day, they can have quite an impact on your recovery. Do what makes you feel good: Pick up an old hobby or sport you once loved, flex your creativity muscles with art or music, or surround yourself with friends. Support your health: Make sure you’re getting enough sleep each night or practice relaxation techniques to reduce stress. Get moving: Exercise can boost your mood, even if this means just going for a walk around your neighborhood daily. Eat healthy: Don’t skip meals, and make sure all of your meals are well-balanced. We believe that there’s no “one-size-fits-all” approach to treating depression. If you find yourself struggling with depression, don’t wait to get help. We offer multiple levels of care to fit your needs and your lifestyle. Give us a call at 888.948.9998, or fill out our form today. PreviousWhat is It Like to be OCD? What is It Like to be OCD?